The weight of the contents of an average move is between 2,000 to 6,000 pounds. That literally means you could be moving several tons of your stuff from one location to the next. It is no wonder you need help! The primary concern is that everything you’re moving fits on the truck. There have been plenty of horror stories about folks being forced to hire a second truck or make two trips with their stuff because the underestimated how much it would take up. The other reason could be with what you’re choosing to pack. If you’re including all the unwanted clutter you have no intention of using, then you’re wasting truck space. This is why you need to give all that junk to Junk King Portland before you move. 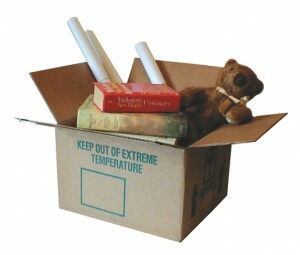 You’re sure to discover a lot of things to get rid of as you pack up all your stuff. When Junk King is picking everything up, you don’t have to worry about what should be trashed or donated. The crew from Junk King will take care of all that. Everything they collect gets sorted back that the depot. Once they’ve accumulated enough items to fill up a truck, they’ll make the rounds of dropping off those items to a charity or recycling center. Junk King has very flexible scheduling options. You pick the day and two-hour window that works best for your calendar and that is what Junk King will work around. Because everyone moves at the end of the month, you should try to set up your appointment ASAP to make sure you get your junk cleared in time. The best move to make for your next move is a junk removal session with Junk King Portland. This entry was posted in Portland junk removal and tagged junk, junk King, move, pack on October 31, 2017 by Junk King. Last updated November 2, 2017 .